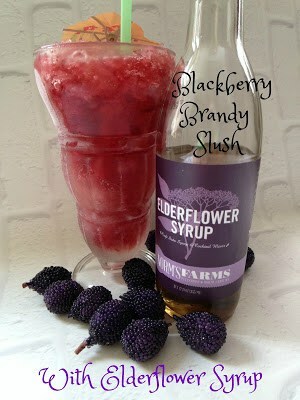 Blackberry Brandy Slush and Norms Farms Elderflower Syrup. anytime drink. This recipe for Blackberry Brandy Slush replaces regular brandy used with Blackberry Brandy. 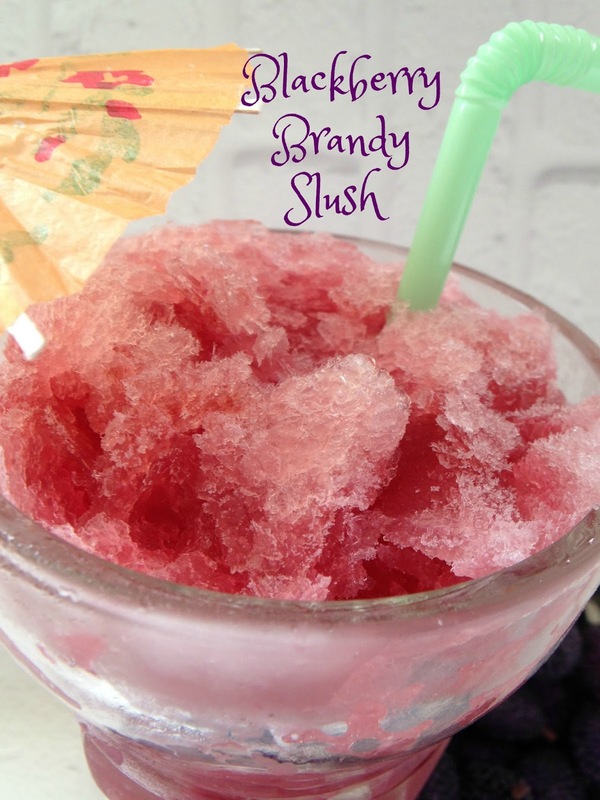 What is a Brandy Slush? A Brandy Slush is a delicious, frozen blend of fruit juice, lemonade, tea and of course, Brandy. 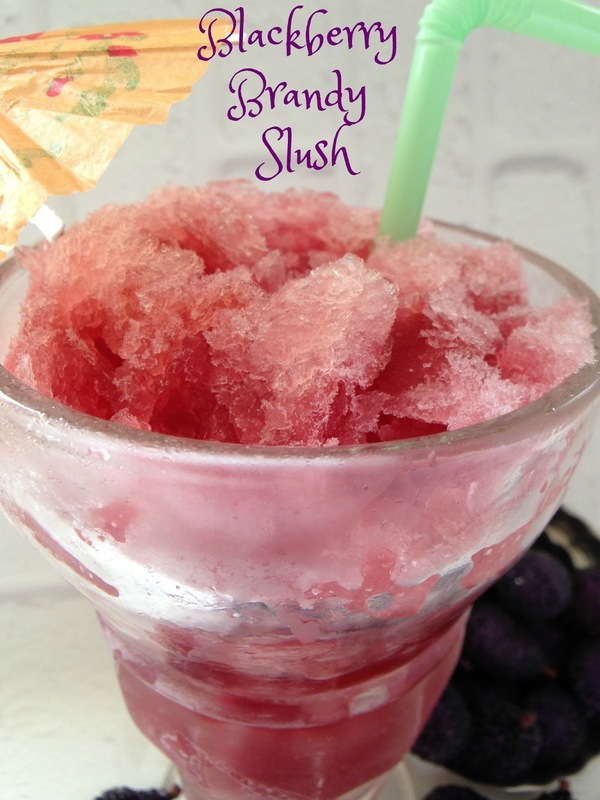 The icy mix is then topped off with your favorite sparkling soda. 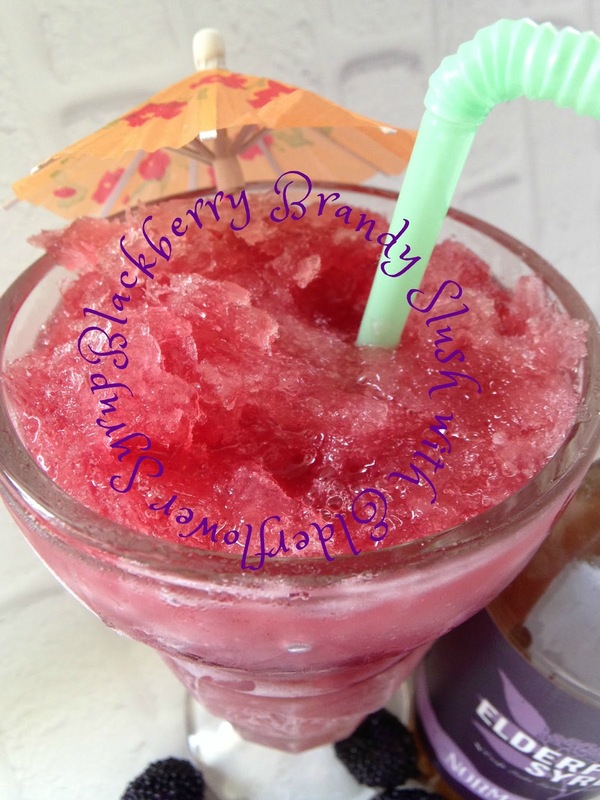 Brandy Slush can be made with plain brandy or just about any flavored brandy you can find….a few of our favorite flavored brandies to use are: Apricot Brandy, Apple Brandy, and Blackberry Brandy. With a few simple fruit juice changes, a change in the flavored brandy, and you’ll have a new and delicious slushy. 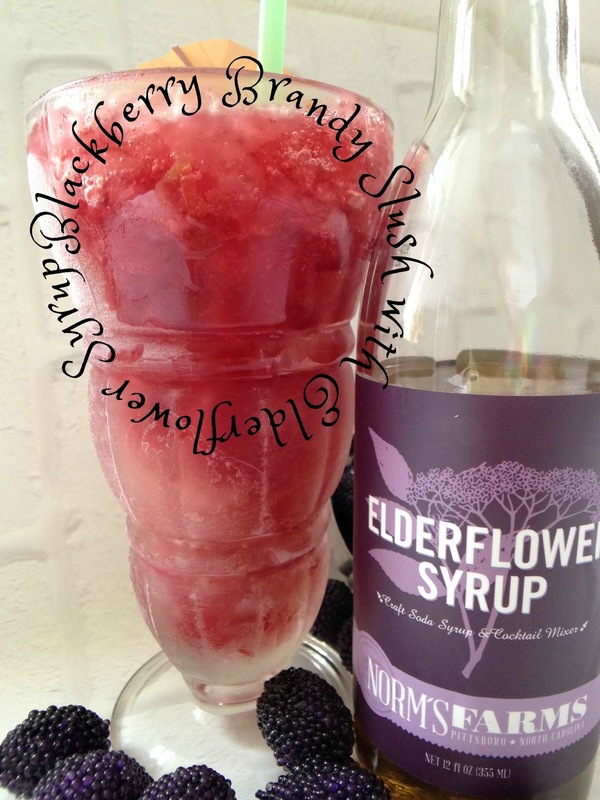 Elderflower Syrup is made in small batches and uses organic elderflowers that add a succulent and delicious flavor to sparkling water, cocktails, sorbets, cakes and so much more. I enjoy elderflower syrup in my afternoon cup of hot tea, in place of my usual organic honey. Elderflower Syrup is deliciously different. Drizzled over a tall glass of Blackberry Brandy Slush, Perfection! 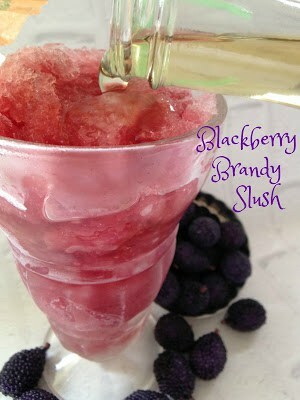 Blackberry Brandy Slush is a wonderful drink to sip, on a hot muggy, Midwestern summer evening. Elderflower Syrup or Elderflower Ginger Syrup, would be delicious on a cake that is normally soaked in alcohol. The two types of cakes that come to mind are: Christmas fruit cake and English layered trifle. Replace some of the alcohol called for in your favorite recipe with Elderflower Syrup or Elderflower Ginger Syrup, for a fantastic and different taste sensation. Norms Farms has everything you will need to know about the Elderberry, including recipes using their wonderful products. 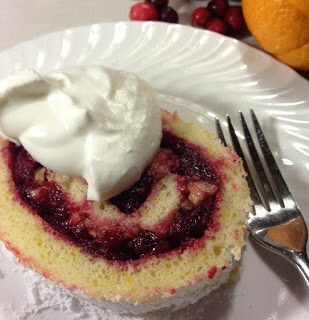 Check out the picture below of a yummy sounding cake roll that is on Norms Farms. Elderberry Cranberry Walnut Cake Roll made with Elderberry Ginger Pecan Jam. It sounds absolutely out of this world! 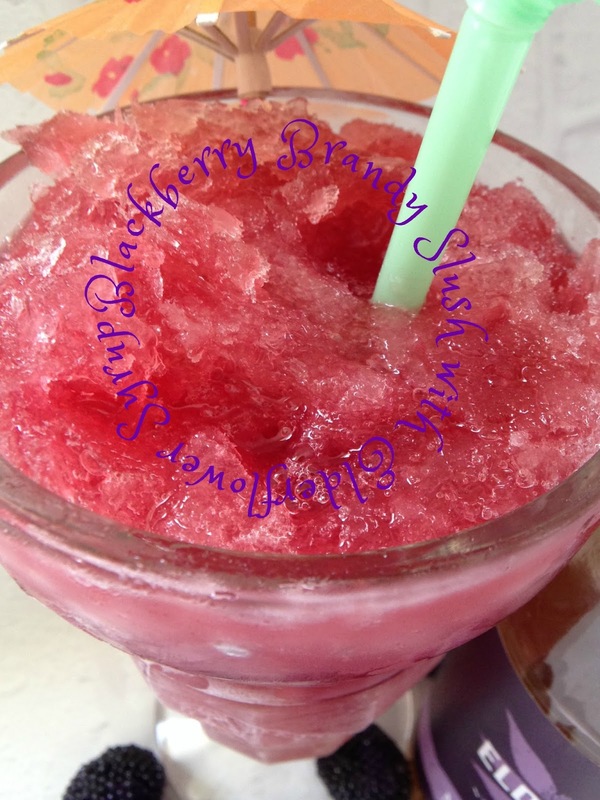 Did I tell you the health benefits of the Elderberry? To learn more about the health benefits and to learn so much more about the Elderberry or if you want to purchase products made with Elderflowers & Elderberries go to: Norms Farms. 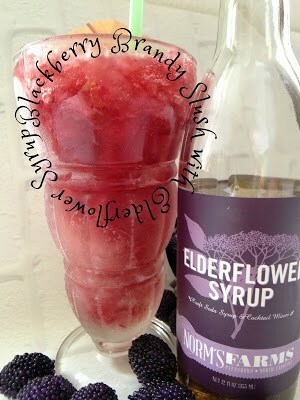 While your there, check out the recipe section for many fantastic recipes using all Elderflower syrup. In medium saucepan, stir together, 2 cups water and 1 1/2 cups sugar. Heat mixture over medium high heat until sugar is dissolved and mixture comes to a boil. Remove from heat and add 4 tea bags. Allow tea bags to seep for 10 minutes. Remove tea bag transfer mixture to a large mixing bowl; add thawed lemonade and grape juice, stirring until dissolved. Stir in blackberry brandy and 7 cups water. Freeze in plastic container for 24 hours or longer. 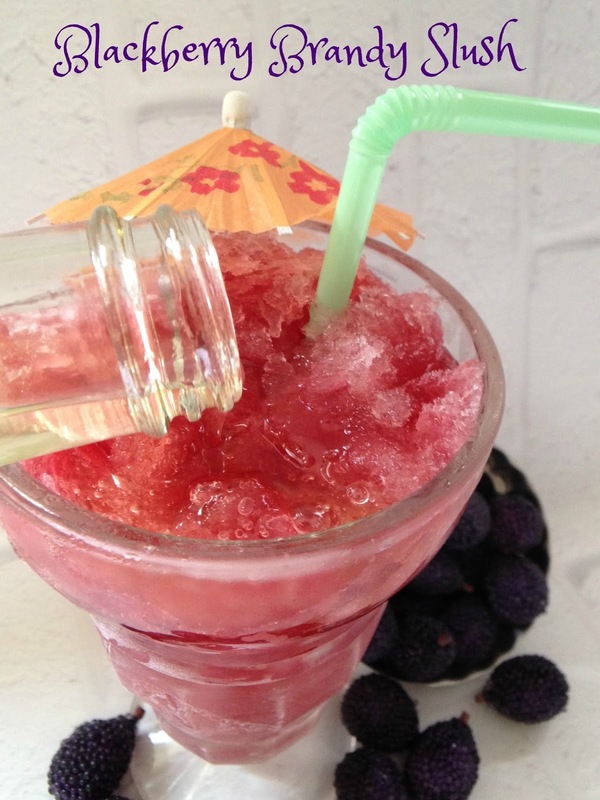 Scoop out with an ice cream scoop into a tall glass, drizzle with Elderflower Syrup, optional. Add 7-up and stir. 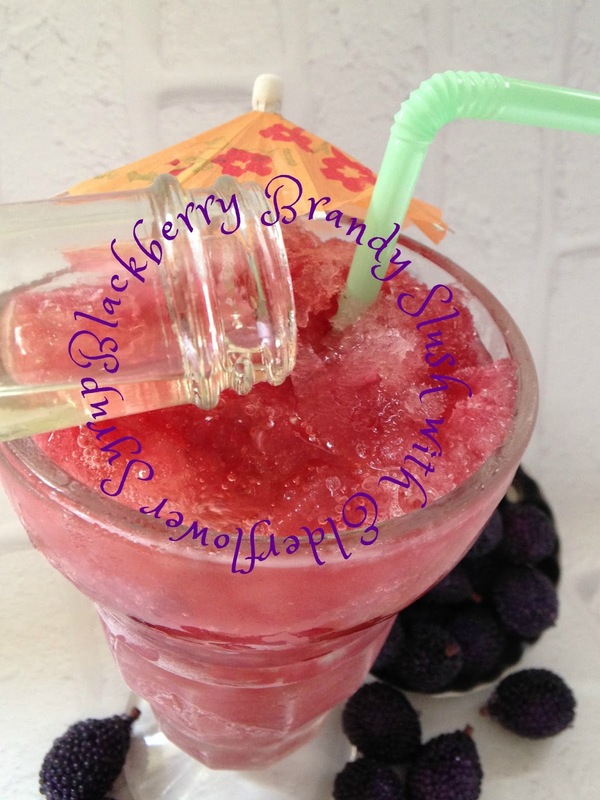 Garnish with fresh blackberries.